I’ve been in the early childhood field for 25 years. Hi. I'm Barb. I'm the creator of the Transform Challenging Behavior Online Conference (a free online event that I produced for early childhood professionals like you! ), a conference speaker, a writer, and an online course creator. My mission is to support teachers and center directors and invite you to work with me to transform the high incidence of challenging behavior we are increasingly seeing in early childhood classrooms...and to have fun doing it! I started out as a teacher’s assistant in a small, independently owned child care center and I’ve been a toddler teacher, a preschool teacher, and a preschool special ed teacher. As a preschool special education teacher I first had my own classroom and then worked as a special education itinerant teacher (SEIT) in New York and had the joy of working in many different programs including many Head Start Programs in Brooklyn (yes, I’m name dropping cause I’m a little bit partial to Head Start). I was a college professor for 8 years – teaching both early childhood and early childhood special education classes – at Brooklyn College/CUNY and then at California State University, Fresno. In Fresno I had the honor of directing the Joyce M. Huggins Early Education Center, a Reggio-inspired program that serves as a model for early childhood practice in California’s Central Valley. I got to work with a truly exceptional group of teachers and two fabulous fellow administrators and I would not be doing what I am doing now without them. I will be forever grateful and changed by having had that opportunity. I’ve been through NAEYC accreditation both as a teacher (shout out to the University Minnesota Child Development Center back in the 90’s!) and more recently as a center director (WOAH did things get tougher in the last 20 years!) I’ve also been through QRIS reviews, and that’s no joke either! I am a certified Pre-K CLASS Observer and Trainer. Need help with high quality interactions across the domains? I’m on it. I hold a M.Ed. in Early Childhood Special Education and an Ed.D. in Early Childhood both from Teachers College, Columbia University in New York City. I teach the tried and true strategies. I help with behavior plans. But the real magic happens when we use play and the theater arts. By tapping into children’s propensity for play we can work wonders with even the most “difficult children”. We can motivate them to want to listen, cooperate and participate. I teach improv-based play-support. It’s a method I developed as a special education teacher while studying at the East Side Institute in New York City. If I had one thing to teach you it would be this. I have used it to connect with all sorts of children, with and without diagnosed disabilities. Children who are oppositional, hard-to-connect with, ones who I’d find myself in constant power struggles with. I’ve used it with children with Down’s Syndrome, Autism, and developmental delays .To help them self-regulate. To learn to play cooperatively with peers. It’s often a back door into preventing challenging behavior and ultimately transforming it. 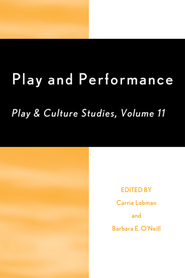 As a professor I conducted several research studies investigating how oral storytelling and the theater arts could promote inclusion and prevent challenging behavior. Integrating the theater arts is a key practice in preventing challenging behavior and I guide teachers in doing just that. Using a puppet. Telling an interactive oral story. Utilizing creative drama. It truly can feel like magic the way these activities can transform your circle time, support children during transitions, and promote children’s social-emotional development. Want to meet at a conference or see where I hang out? Looking for a more traditional ABOUT section? Want to know about my credentials and experience? I’m a certified early childhood and special ed teacher in both NY and CA. Contact me if you want my resume. I’m based out of LA. I’m in New York regularly. Get in touch to see when I might be coming to a city near you. Most services available via phone and video conferencing. Storytelling, Self and Society, 11(2), 183-210. 2016. International Play Journal, 5(2), 119-122. 2014. Advances in Early Education & Day Care, 18, 87-111. Using improvisational play to support social skills. 2014. Teaching Young Children, 7(3), 8-10. 2013. Young Children, 68(3), 62–69. 2012. In C. Korn-Burstyn (Ed. 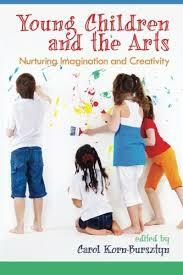 ), Young children and the arts: Nurturing imagination and creativity (199–140). Charlotte, NC: Information Age Publishing. 2011. With Carrie Lobman, Ed.D. Lanham, MD: University Press of America. Develop Confidence with Challenging Behavior Using Play, Theater-Arts, and Mindset Techniques. McCormick Leadership Connections National Conference. How to shift program culture so that everyone is excited to try new strategies to prevent challenging behavior. California Association for the Education of Young Children Conference. Transforming Challenging Behavior in Our Programs Through Mindset, Play, and the Theater Arts. Riverside County Office of Education State Preschool Meeting on Challenging Behavior. Riverside, CA. California Head Start Association Education Conference. Become a Behavior Magician and Transform Challenging Behavior in Your Classroom. Educating the Heart, 6th Annual Social Emotional Conference. Get the Confidence and Skills You Need to Transform Challenging Behavior in Your Program Today. The Young Child Conference and Expo. “Nothing I try with this child is working!” Get the tools you need to transform challenging behavior. 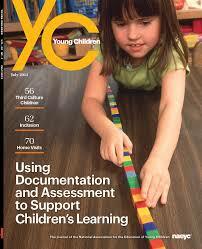 The National Association for the Education of Young Children Conference (NAEYC). Atlanta, GA.
Transform How You Approach Challenging Behavior Using Play and the Theater Arts. The Washington Association for the Education of Young Children Conference (WAEYC). Transform How You Approach Challenging Behavior. Social Emotional Wellness for the Young Child – The Leading the Way Early Childhood Educators Conference. Stephens Point, WI. Transforming our Relationship to Challenging Behavior. Imua FamilyServices Transforming Challenging Behaviors Conference. Developing social-emotional skills through play. Region 4 Preschool Summer Institute. “I like to work with kids that hit, bite and do not listen”: Transforming challenging behavior. Young Child Expo and Conference. Helping teachers transform challenging behavior using play and the theater arts. National Coalition of Campus Children’s Centers. “I like to work with challenging kids”: Transforming how you approach challenging behavior using play and the theater arts. California Association for the Education of Young Children. California Head Start Association Conference. “I don’t know what to do with this child!” Transform your relationship with preschool children who hit, bite, scratch, throw temper tantrums and do not listen. California Council for Exceptional Children. California Association for the Education of Young Children (CAEYC) Conference Ontario Convention Center. Central Valley Lab School Inclusion Roundtable.